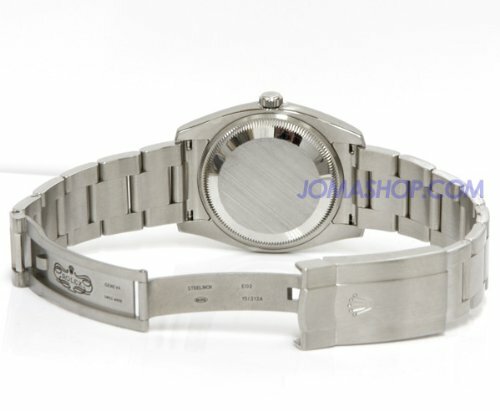 Stainless steel case with a stainless steel Rolex oyster bracelet. 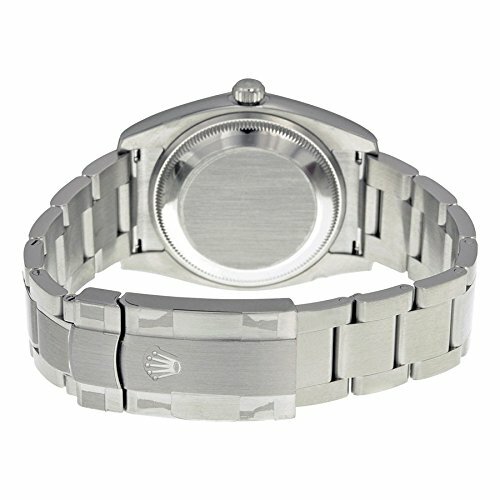 Fixed domed stainless steel bezel. Blue dial with silver-tone hands and index hour markers. Arabic numerals mark the 3, 6 and 9 o'clock positions. Minute markers around the outer rim. Dial Type: Analog. Luminescent hands and markers. Automatic movement with a 48-hour power reserve. Scratch resistant sapphire crystal. Solid case back. Case diameter: 34 mm. Round case shape. Deployment clasp. Water resistant at 100 meters / 330 feet. Functions: hour, minute, second. Luxury watch style. Watch label: Swiss Made. Item Variations: 114200, 114200-BLASO, Rolex-114200, Rolex-114200-BLASO. 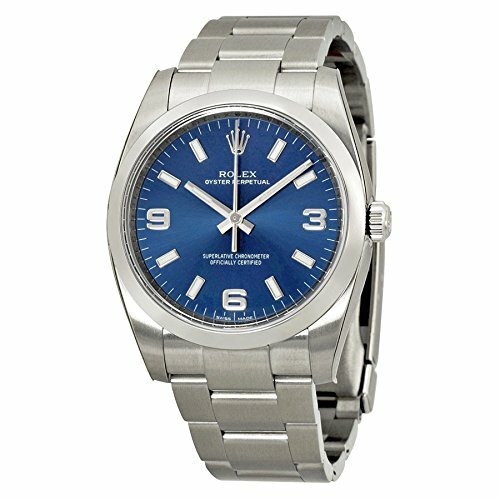 Rolex Oyster Perpetual 34 Blue Dial Stainless Steel Rolex Oyster Automatic Mens Watch 114200BLASO.